Did we mention that we dig trees? We really dig trees. Root Collar Excavation (RCX) is the removal of existing or excess soil, to inspect the root system of the tree. Many times in the landscape trees are planted too deeply. Soil over the root flares can cause the bark and cambium layer in the trunk and root flares to decay. The trunk cannot tolerate constantly moist soil like root tissue can. Many times we find girdling roots, planting baskets or rope strangling trees while doing a root crown excavation. Girdling roots grow around the main stem and choke the tree. These roots can restrict the movement of water, plant nutrients and stored food reserves. 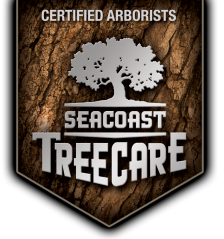 RCX gives the arborist insight into how the trees root system is doing. RCX allows us to try to fix girdling roots, and poor planting techniques. "Everyone I interacted with at the company was courteous and professional. I would definitely recommend this company to my friends and family. "